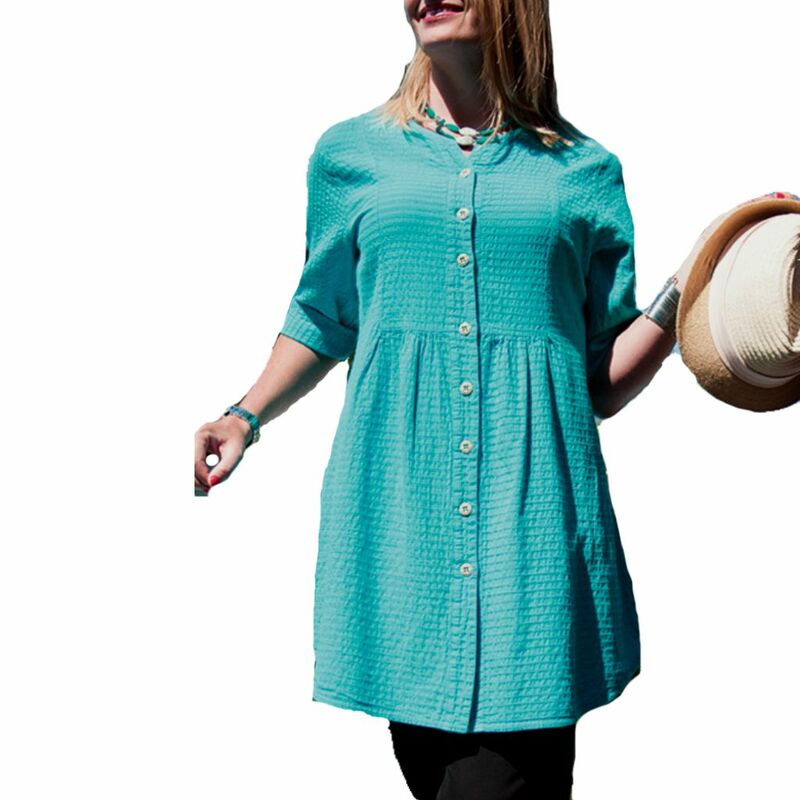 Longer length makes for a great cover-up, tunic or jacket. 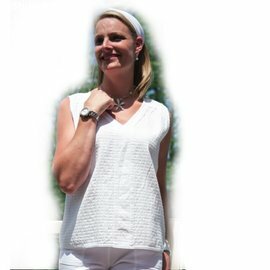 Loose fitting shirt has split neckline, rolled sleeves and soft front gathers below bustline. fits generous, shoulder to hem length 32"